Alternatively scan the code on the right to get our contact details on your phone. 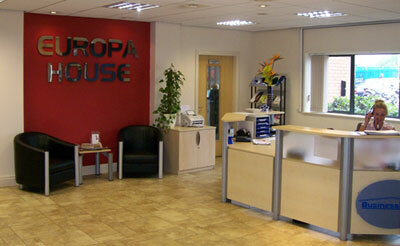 You can contact our office between the hours of 08:30 and 17:00 Mondays to Fridays UK time. We would be very pleased to hear from you. Let us know if you there is anything we can help you with or if you would like more information on what we can do. Tatiana Witherage from 'The Vivo Team' says: "I just thought I would say thank you for all the brilliant work on the website. We are v.happy with the final product and will most definitely try to maintain all future requirements through Formability, not to mention recommend you to others!"